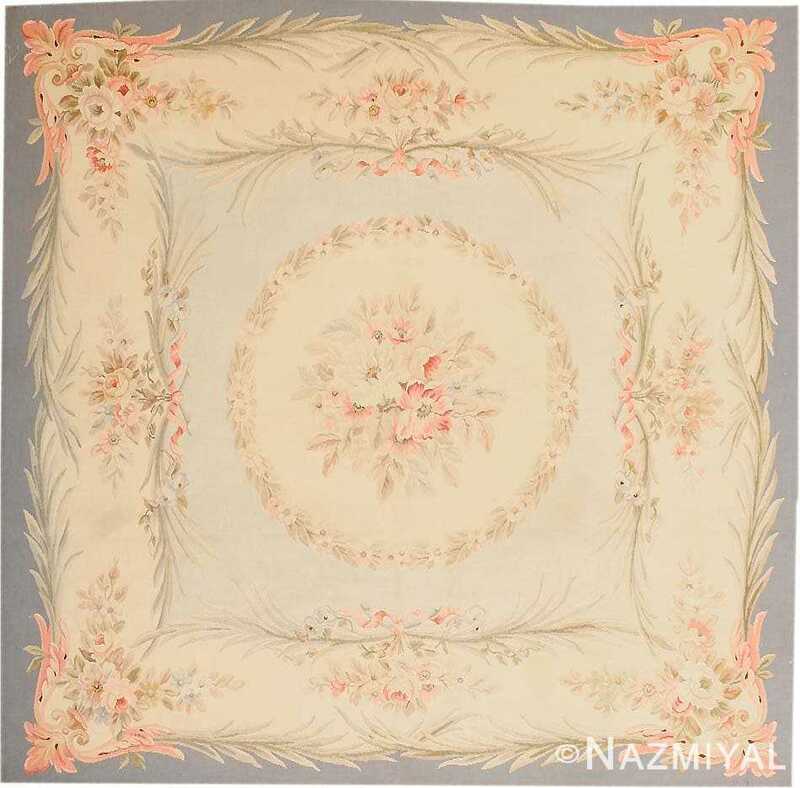 Woven with a harmonious combination of warm and cool tones, this charming Aubusson rug features a central cameo medallion and prominent floral frame. Small French Antique Aubusson Rug, Origin: France, Circa Date: 1900 – Here is an absolutely beautiful antique rug — an Aubusson carpet that was originally hand woven by the master rug makers of France. Antique Aubusson French rugs are some of the more storied and the most sought after of all European rug styles. These exciting and distinctly French compositions are often characterized by graceful depictions of lifelike floral details, as well as a general sort of neoclassical aesthetic. This particular example beautifully showcases some of the more important points of the style, making it an especially appealing rug. Bordered by a slate-blue ground and swags of Lancelot leaves, this classic Aubusson rug features a number of France’s archetypal tapestry designs, including lush bouquets, delicate pastel shading and architectural scroll work. 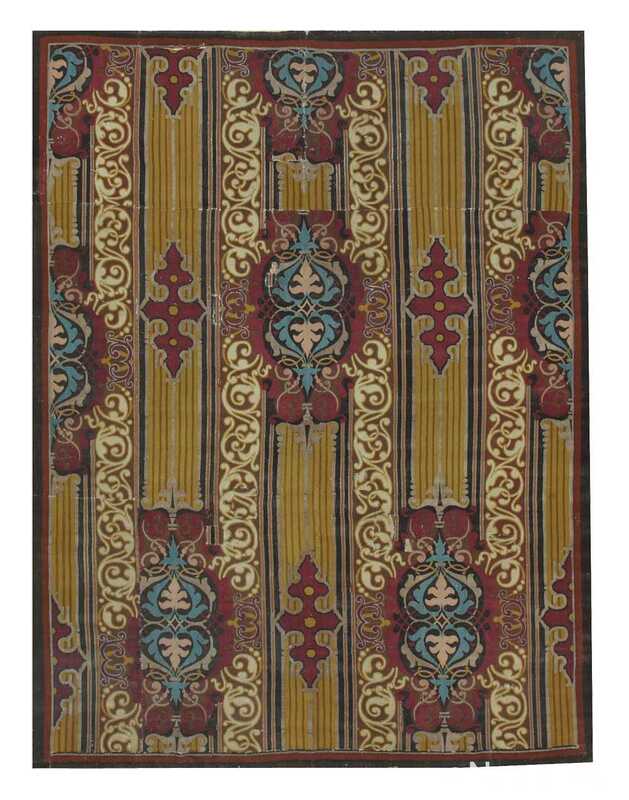 Carpets such as this example that articulate the best-known and most representative design elements of a particular region are considered highly desirable by admirers and collectors of antique pieces. 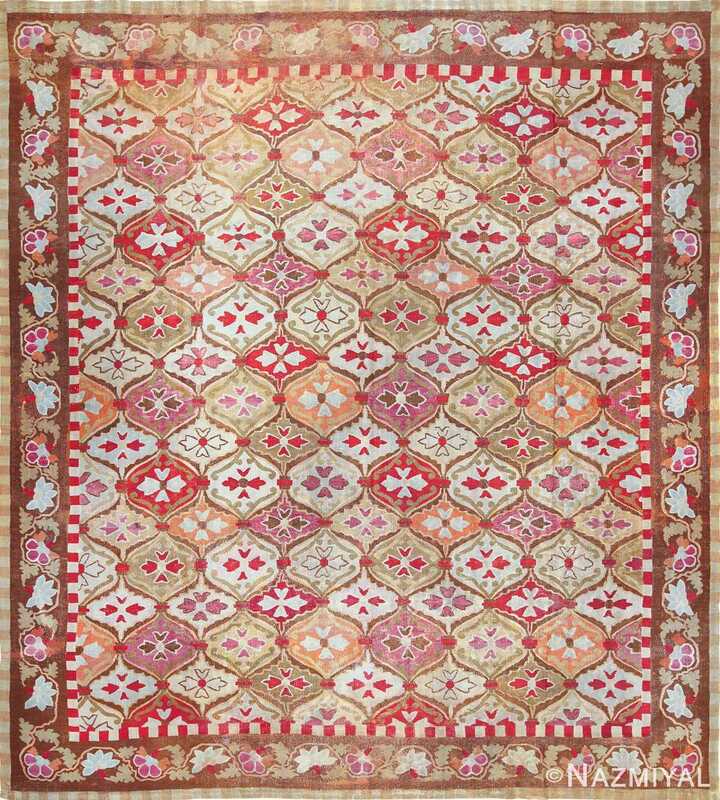 A gorgeous rug, this Aubusson is sure to bring an unparalleled level of grace and sophistication to any home.